Festive drinks and cocktails are great for large gatherings. They’re the perfect way to end — or begin — a meal! Celebrate in style with these cocktail recipes and serve three different Irish drinks for your St. Patrick’s Day bash. Homemade drinks and cocktails are a great addition to any party. They’re fun to make and you can have your group join in on the preparations! Add a touch of green and sprinkle some mint leaves on top. Experiment with making your own drinks at a party. Each person can try a different cocktail recipe to suit their personal taste! Look below for a list of homemade Irish cream, whiskey slush and Baileys coffee drink recipes. Combine all ingredients into a blender and blend on high for 30 seconds. Store in the refrigerator in a tight sealed container. Shake well and serve over ice. Fill cups with a scoop of vanilla ice cream. Mix together Irish cream liqueur and tequila. Top each scoop with Irish cream mixture so the ice cream gets coated. Pour in brewed coffee so that each cup is filled about halfway. 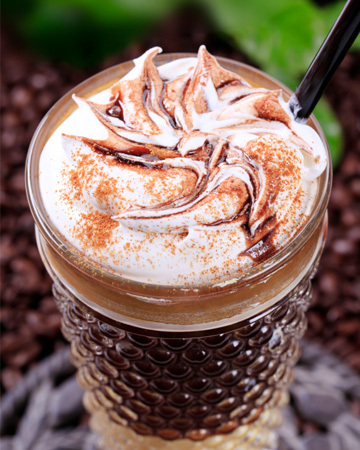 Each guest can add more Irish cream to suit his or her taste. Combine lemonade and orange juice concentrates, lemon juice, tea, sugar, whiskey and water in a large plastic container. Stir until sugar has dissolved. Freeze for 24 hours. Scoop slush into serving glasses about 3/4 full, and pour in ginger ale to fill the glasses. Stir and garnish with lemon wedges.